If you're planning on making an Afternoon Blouse from a lightweight or slippery fabric like silk or rayon, you're probably going to want to stabilise your neckline seams to stop them from drooping out of shape. Stabilising seams is a simple technique used to give a bit of extra oomph to a seam, whether it's to the shoulders on knit tops to stop them stretching out, or the neckline on your Afternoon Blouse to help it keep it's shape. It only takes a few extra steps and is totally worth the effort. You can use almost anything with a bit of strength to stabilise your seams. 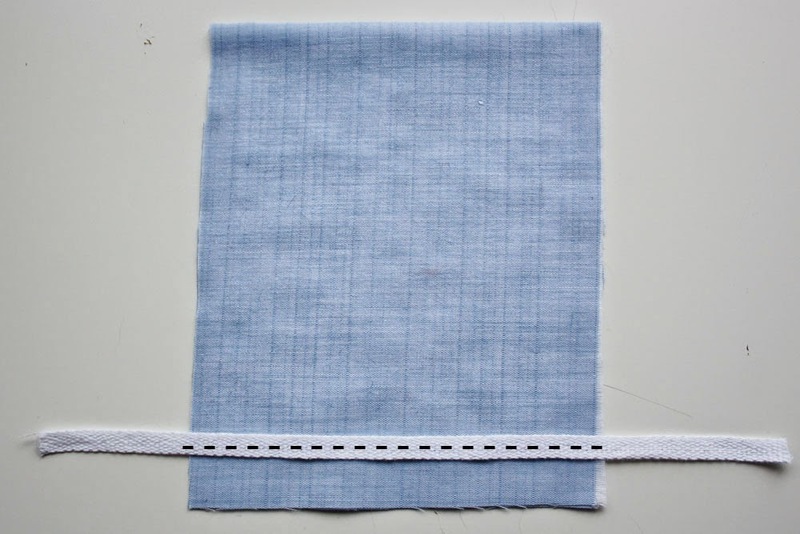 Twill tape or ribbon work just fine, but if you're using a really light weight fabric you'll want to minimise seam bulk, so try using an interfaced bias strip of the same fabric or if you're feeling fancy, a bias strip of silk organza. 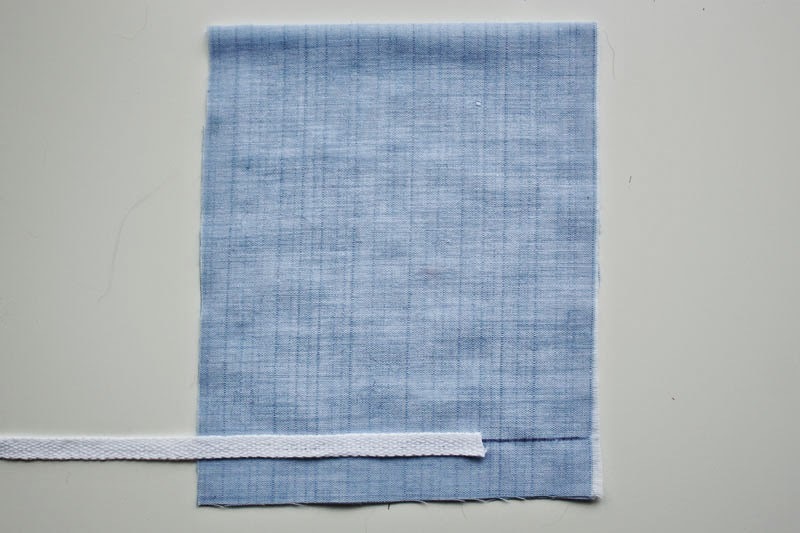 Note - Using a bias strip is best if you are trying to stabilise a curved seam as it will bend and curve with your seam. There are two ways you can sew your stabilising strip onto your garment. You can either sew it directly onto the seam line (Picture 1 & 2) or you can sew it as close as you can get it to the seam line but within the seam allowance (Picture 3 & 4). They both have their place, but for the Afternoon Blouse, you'll want to sew it onto your seam allowance and not into your seam. This will ensure you have a lovely delicate but stabilised neckline, without the bulk. 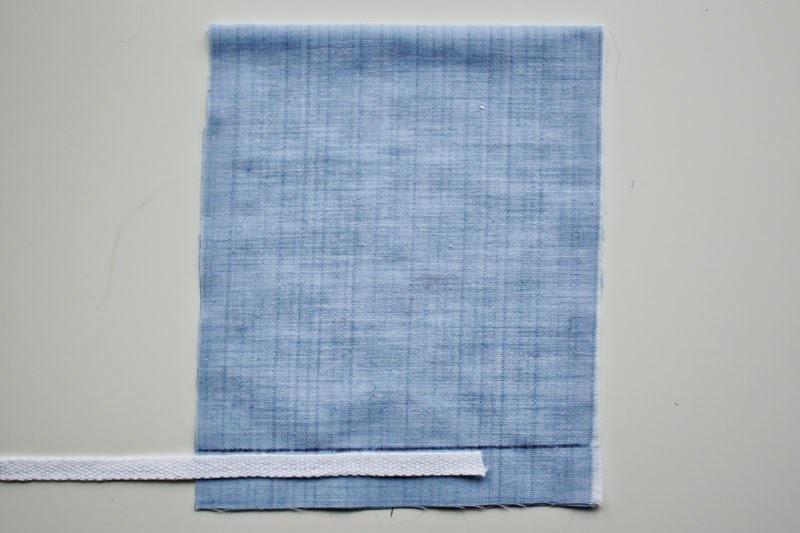 Picture 1 & 2 - Place your stabilising strip right on top of your seam line, and sew in place. Picture 3 & 4 - Place your stabilising strip as close to the seam line as you can get, within the seam allowance, and sew in place. Note - I've used a small width twill tape in the pictures above to illustrate where you should place your stabilising strip but it's totally up to you how wide your strip is. 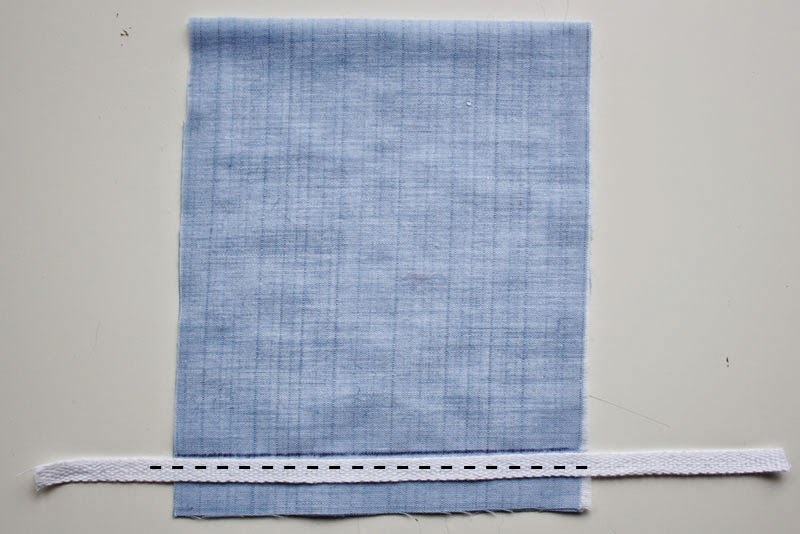 For the Afternoon Blouse, since you'll be sewing it into your seam allowance, I would go with a strip that is just under the seam allowance width or smaller. Another way you could think about stabilising your neckline is to add piping to it as Melissa did - the piping essentially works as a decorative form of seam stabilisation. However, do be careful with the type of piping fabric you use here, as it can add a lot of extra bulk. If you think you might want to give piping a go, I have a tutorial on making and inserting inseam piping here. I personally don't think there is any need to stabilise the neckline on your Afternoon Blouse if you're using a sturdier fabric like cotton voile or lawn as they should hold their shape just fine, but feel free to do this if you feel your fabric is especially lightweight, or if you just want to see what all the fuss is about. 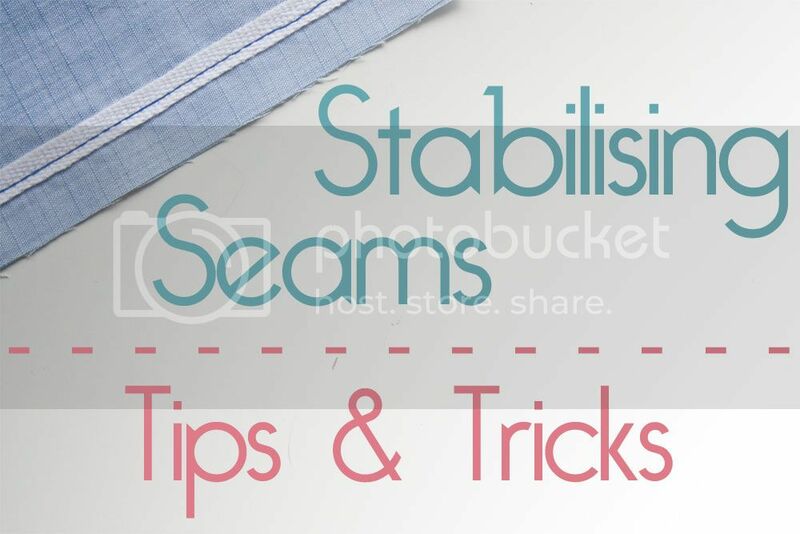 4 comments on "Stabilising Seams - Tips & Tricks"
Thanks for the tutorial! I've heard of this but have never actually done it before.